There is something mystical about wolves and how they seem to pierce your soul upon meeting of the eyes. We know that a wolf signifies guardianship, spirit, loyalty and ritual. It has the ability to quickly form firm emotional bonds and more often than not require to trust their own instincts when they run free in the wild. Hence, they remind us to trust our hearts and minds in our own world — just what is needed in a slot game. NetEnt has decided to use this magnificent creature as the mascot of the game, with a milder setting of lovable baby cubs. Nestled in a snowy forest, they have also placed other characters and used wood as their high-value card symbol. Also, be prepared to embrace the snowy Blizzards, as it will be the winning storm of your life. Before we enter into the wild territory of wolves and decide to play with their beloved cubs, let’s take a closer look at what we should know about this game. The Wolf Cub slot sports a 5x3 reel layout combined with 20 paylines. This game accepts wagers starting from a mere 20p all the way up to a massive £200 per spin. This range makes the game open for anybody, who wishes to just have a go on a few spins or for those, who are willing to bet big and are in for the mega prizes. We should also know that this game appears to be low to medium variance, with most of the larger wins coming from the Blizzard feature in their Extra Spins. The (RTP) rate is set at a reasonable value of 96.34%. Overall, you can get over 100 extra spins in this game, with the Blizzard Feature to keep you on your tip-toes as if the icy surroundings aren’t enough. The reels are made up of wooden symbols in the form of a heart, club, diamond and spade, alongside five animal symbols of an owl, snow leopard, moose, bear and, of course, the wolf cub. The animals bring the biggest wins, rewarding you north of 600 coins for getting five in a winning payline. There is a touch of sweetness to the graphics and animation, as it is of a cartoon version of a baby wolf. This puppy will sit there with its adorable eyes, almost cat-like, making you feel like you have got a companion playing with you. The background was perfectly chosen to complement the wolves’ lifestyle as it is in a snowy forest. What makes the game more enticing to play is the melody of the game – probably aimed at bringing suspense at every tick. 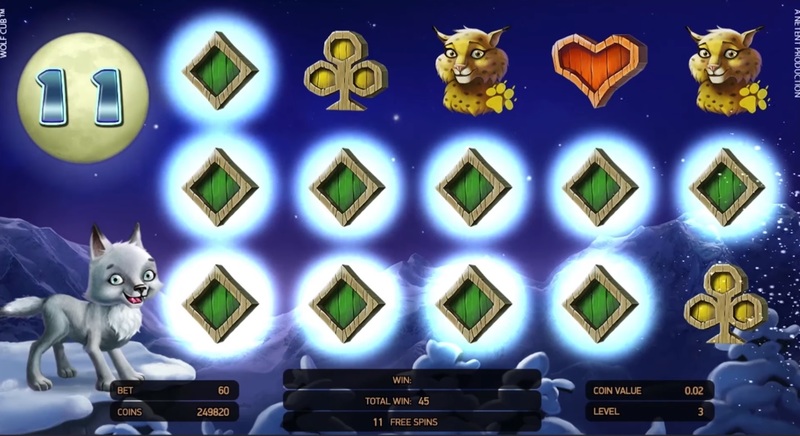 Unlike many other slot games these days, the soundtrack that accompanies the gameplay is not repetitive and the little celebrations when you win something uplift the overall mood more than you would realize. The part that really sealed the deal for us is the fact that NetEnt has optimised this game for mobile gameplay. Both the user interface and user experience on smaller screened devices are as flawless as it can get. The buttons are nicely spaced and even with the sophisticated graphics, you will be able to see everything clearly on your mobile phone. Game Features: Stacked Symbols, Extra Spins! The well-known Wild Symbol in any mobile game is set here as the most significant symbol. Why so? To shed some light, it may reward you with a staggering 2,000 coins, or 100x your stake, for five on a winning payline. Not only that, but it also replaces all other symbols on your reels except the scatters to complete winning paylines. Speaking of scatters, close your eyes and picture wolf cubs howling at the moon as we introduce the Moon Silhouette. Get a minimum of three scatters at any location on your reels and you will trigger the extra spins feature. The number of extra spins that you win will be dictated by the numbers that replace your scatters on the reels. In total, you may win up to a colossal 115 extra spins. However, in real life, the number of extra spins won are usually in the five to 25 range. Nonetheless, the game is made largely by the amazing Blizzard feature. This feature really stands out as its own kind. When a symbol takes over the entire first reel where it comes stacked, the same symbol on all of your other reels will blow-out towards your first reel so you get more of them. Just like a blizzard taking over your life and making you part of it, it grows larger and larger as it continues to spread. By getting higher value symbols stacked, you are in for a howling lucrative win! Wolf Cub — Up To 2,000x Your Spin Wagers Are Up For Grabs! We have come to a consensus that the overall game is mediocre, but the feature that stood out the most goes to the famous Blizzard feature. It is simple in the sense that all you just need do is get stacks of the same symbols anywhere on your reels. Once you have done that, in the blink of an eye you will have a storm coming your way, making your wolf cubs howling proud. Just to make things all the more convenient for you, more than half of the symbols in this game are of high value. 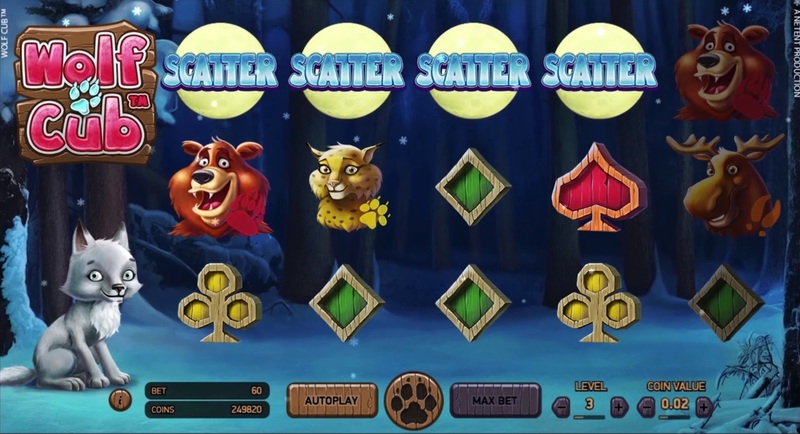 A stack of any of the animals will result in wins north of 75x your spin wager. Imagine that! So, just by being patient and waiting for the right stacks of symbols. You’ll have an absolute possibility of attaining a win of up to 2,000x your spin wager! Patience is a virtue, my dear slot enthusiast. It is said that once you are patient, everything falls in place with this game. Want to play Wolf Cub? 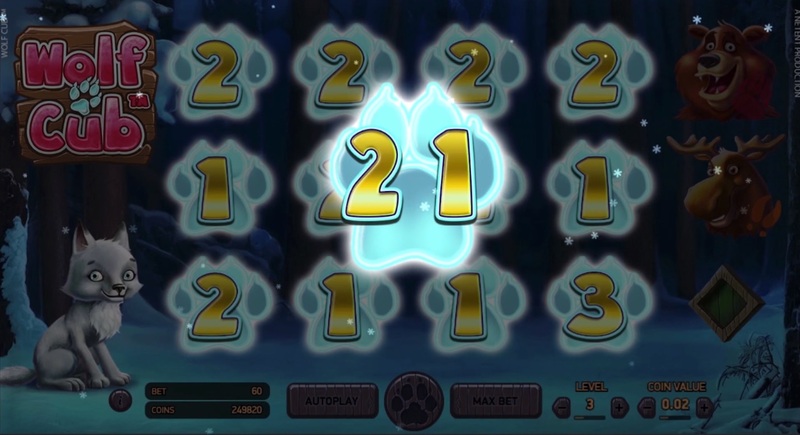 The Wolf Cub mobile slot is an absolute blast to play with tons of stacked symbols and extra spins thrown your way! Wolf Cub Wolf cubs are adorable creatures and their beauty shines through in the game. Having a pet-like wild animal sit by your side after a stressful day is just the perfect dream for many. This game strives to be individualistic in that it incorporates the unpredictable weather to pair with monetary gains. 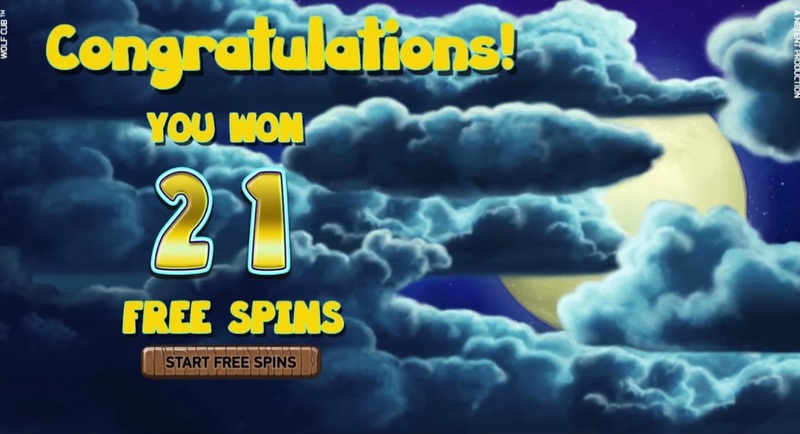 NetEnt brings you a Blizzard feature alongside 115+ extra spins, just to make your day a better one. In any case, it is safe to say it is an average game that is enjoyed by some, but not by others. Cultivate patience, and you’ll end up with up to 2,000x your spin wager with the Wolf Cub slot game! NextNetEnt’s Planet Of The Apes Slot Launches In One Month! Slot Review: Jackpot Big Top Mobile Slot From Mr Spin — Free £5!